If you use a pantry to help you keep your meal planning on track, or it is something that you have always had but never really used to its full potential, how do you know when it needs help and what do you do? 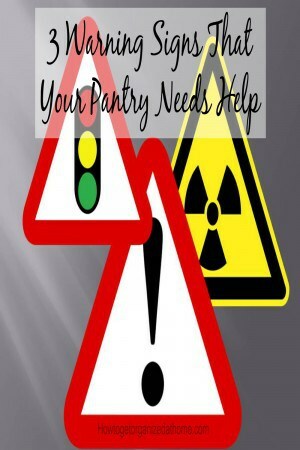 These are typical thoughts when it comes to your pantry; often the classic symptoms of a pantry in need of help are easy to remedy but are critical in the complete collapse of the concept of a pantry. The worst problem is having a pantry that is a complete mess and you can’t find anything, you don’t even know if you have the item in question and often you end up rushing out and buying the item only to find the original item later when you are looking for something else. 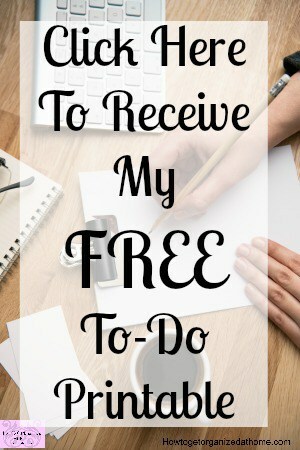 The pantry is looking bare, there is hardly anything in your pantry and if you are honest, the things that are left will probably still be there in a year from now, as you don’t like the items. You know that you want a pantry; you don’t know how to use it or what you should store in there. Maybe you had a pantry when you were a child and you want to replicate those memories but unsure about what you should keep in there, or how to organize it. Getting your pantry into shape isn’t as difficult as you might imagine, the 3rd warning sign is probably the easiest of them all to solve. It is about finding out what you want, you won’t ever replicate what you had as a child, that was your parents or even grandparents, take on a pantry and this is not something that you will be able to copy exactly. I have memories from my parent’s pantry, but for how my mum used a pantry, I have no recollection and I don’t think she has one now at all. Therefore, I developed my pantry over the years into something that was useful to me. We did live on a small island at one point, which helped to develop a pantry as going to a supermarket was out of the question for most of the month, as we had to catch two ferries to get to a small supermarket to stock up on food. The concept of the pantry to me is a place to store items of food that I will need in the near future. It might be flour, I know that I need to have the flour that I am using and a spare one in the pantry if I remove this one I know it goes on the shopping list to get replaced. Obviously, as we no longer live on a remote island I don’t need as many of the same items in my pantry, I have adjusted to the different needs of my family. Getting your pantry into shape is simple; you must organize it. How you do this will depend on the size and the shape of your pantry. The aim is to have homes for the different items that you need to store; by giving every item a home, it is then easy to see what you have and what you might need to stock up on to get your pantry into great shape. If you have let your pantry go and you haven’t added to it or even used anything from it in a while, it might be time to address the situation. Sometimes we make choices at the supermarket that we wish we didn’t and end up with things we don’t like, in the pantry. I think we have all done this at least once. The best thing to do is to go through your pantry and donate to a local food bank any items you don’t want and then you need to start again. Building up your pantry isn’t something that you should do in one shopping trip, for one, this could break your budget and two, the best pantries grow over time. They will have the items that you want and need and you don’t notice the expense in your grocery shopping because you break it down into one or two extra items a week. The items you need will be items that you use, it isn’t easy starting out a pantry and it can take some trial and error to really get into using your pantry. Therefore, there are warning signs that you should take notice of, when it comes to your pantry, it isn’t difficult to put right, but it isn’t something that you can completely repair overnight; the best pantries come with time and constant use. What warning signs do you use to identify that something needs help? 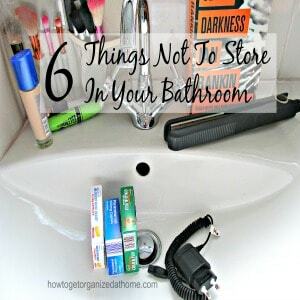 I wrote another article that I think you will enjoy, 6 Things Not To Store In Your Bathroom.